Sephora is hands down my favorite place to shop for beauty products. Since I am a major beauty lover I land up shopping at Sephora a lot (probably more often than I should!) and have found some ways to get the most out of a Sephora shopping trip. 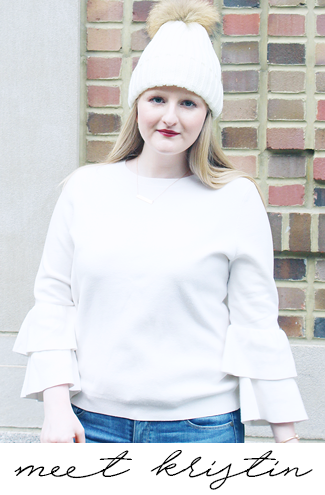 Below I have a list of shopping hacks, which you need to keep handy for the next time you hit up the beauty emporium! Signing up for Sephora's awesome rewards program is a must even if you only shop there once or twice a year. There are a ton of perks to being a Beauty Insider and the more money you spend the more perks you get. The most basic Beauty Insider gets a free birthday gift (which is always amazing! ), access to free beauty classes, and the option to purchase an inexpensive shipping program. While anyone who signs up becomes a Beauty Insider there are two other levels of the program that depend on your spending; if you spend $350 in one calendar year you become a VIB, and if you spend $1000 in a calendar year you become a VIB Rouge. Each level comes with their own additional perks that get better the more money you spend. The best part of the entire program though is their points system; for every dollar you spend you get one point, which you can then redeem for different products. For 100 points you get a deluxe size sample, 250 points gets you a mini fragrance, and 500 points you get a reward kit filled with deluxe size samples. I've found a ton of products this way and the 500 point rewards are seriously the most fun thing to get! The Sephora App is a great way to keep track of your Beauty Insider account to see what points and perks are available to you. Moreover, the app keeps your Beauty Insider card so that you can just show that at the register for the cast member who's ringing you up to scan and make checking out faster. Lastly, the app always has special "mobile offers" that aren't always advertised on the regular website, but are too good to miss. Every time you go to Sephora you can get three free samples of anything in the store you would like - no purchase necessary. Additionally, you get to choose three free samples every time you shop online, as well. Whenever I'm by a Sephora store I try to stop in and get samples of products I've had my eye on, this is a great way to try something without committing or even try a product that's a little out of your price range. When you're in store just ask a Sephora cast member for a sample of anything and they will make you up one and give you a little receipt so you remember exactly what the product is. Unfortunately online you have to make a purchase and choose from a list of the daily samples so you don't have as much freedom to try different things, but there's always something great on the list and this is a good way to try a product you might not know about. Sephora always has a list of promotional codes to use to get things from deluxe samples to a gift with purchase to a magazine subscription. Each time you shop online you can use a code and there is typically a few different ones to choose from. This is also where the Sephora app Mobile Rewards comes in handy, on the app click on the right hand sidebar then under the 'SHOP' section click on 'Mobile Offers' and choose your code from there (you can even enter a Mobile Offer code when you're shopping on your computer!). If you're shopping on your computer checkout the 'BEAUTY DEALS' page, or fill up your basket, click checkout, then on the left side under the order total go to the 'ADD PROMO CODE' and under that click 'view promo codes,' get your code and enter it in the promo code box. You can find great codes both on the app and desktop website, and my recommendation is to check both before picking which code to use! This sounds like an odd tip, but just stick with me and you'll see how this will work out great for you! Shipping is always free online at Sephora when you spend $50 or more and for each order you get your three free samples and can use a promotional code. If I am spending $100 I break my single order into two orders so that I can get two sets of three samples and use two different promotional codes. On my last online order I was spending $200 (I was purchasing stuff for a giveaway and ordered stuff for my Mom too!) and broke it up into four different orders (and got free shipping on all of them!) so that I got a total of twelve samples and got to use four different promotional codes! In my opinion if you're purchasing enough to get free shipping on multiple orders then you absolutely have to breakup your order so that you can get as many samples and use as many promo codes as possible. Whenever I'm in Sephora I'm like a kid in a candy store and to be honest if I don't have some idea of what I'm doing it can be overwhelming because of the incredibly large selection. Something that always helps me is to have an idea of what I need or want, what questions I have, or what brands I like. I've found that by having a little bit of a plan when I walk in the door makes it a much more fun and relaxing trip and I don't get as overwhelmed. I also feel like when I have an idea of what I'm doing I spend less money and am not swayed by cast members to buy something that I might not need because I'm much less impulsive with my purchases. If you need help, an opinion, or are just unsure of something ask a cast member for help. The people who work at Sephora are there for a reason - they're good with beauty and are there to make sure your shopping experience is the best it can be. At Sephora the different sections (skincare, makeup, hair, etc.) are called "worlds" and cast members are each assigned to a different "world" based on their expertise. Because people are experts in their "worlds" it's best to ask a cast member standing in skincare a question about a skincare line and then a different cast member standing in hair about that new dry shampoo you've been eyeing to get help from the people most knowledgeable on the topic. A few years back I was really struggling with under eye concealer. I have dark circles under my eyes because of my skin coloring and was applying way, way too much concealer and powder to cover them, but was in turn making them worse. One day I went into Sephora headed straight for the makeup world and asked a cast member for help with my makeup issue. She sat me down, grabbed some products, and showed me what products I needed and how to apply them. It was an incredibly helpful session and I still use those products and her application technique to this day because it works so well. Like I said in my previous tip though it's a good idea though to have an idea of what questions you have before walking into Sephora to help keep you on track. Additionally knowing what you have questions about can help you to avoid being talked into purchasing something that you don't want or need. It's important to keep in mind that while the cast members at Sephora are super helpful and knowledgeable they do want to try to sell you as many products as possible because sales is a big part of their job. However, if you know what you want you can just get your questions answered and (hopefully) avoid a sales pitch. At Sephora there are many different options to makeover your look in store. If you have 15 minutes you can have a mini service with a beauty or skincare advisor; mini makeovers include a smokey eye, contouring, perfect lips, and more, and mini facials include mask & moisturize or peel & protect. If you purchase $50 worth of products and have 45 minutes then you can get a complimentary custom full face makeover (this is free if you are a VIB Rouge member!). Lastly, if you spend $125 and have 90 minutes you can get a customized skin care, fragrance, and beauty makeover (this is also free if you are a VIB Rouge member!). In addition to these you can take free beauty classes if you are a Beauty Insider and from time to time Sephora has different brand or styling stations for special events. You can find a list of beauty services here, classes here, and in store events here. A few times a year Sephora hosts sales for Beauty Insiders and it's important to check your inbox for those because you don't want to miss out on them. These sales typically take place in April and November and different discounts are offered to different levels of Beauty Insiders. Regularly in store Sephora doesn't put up a lot of signage for their sales so you have to do some looking around to find them, sales are typically found at the perimeter of the store or at the end of aisles and the sale bins usually look similar to the bins that hold the travel size items. Last but not least, simply click the 'SALE' tab at the top of Sephora's website to find items they have online that are on sale at the moment! As cute as those travel size products are they are typically way more expensive than a larger size of a product. While you're in store if you find something in the travel bin section while on line consider going to look for the full size product to see the price difference. While you'll spend more money on a larger size product initially it'll really save you money in the long run. The best way to see this it to take the price and divide it by how many ounces the product is to see the cost per ounce, for example the 0.5 ounce size of GLAMGLOW THIRSTYMUD Hydrating Treatment is $22, which makes it $44 an ounce, while the 1.7 ounce size is $69, which makes it $40.59 an ounce. Looking for a new perfume? Buying a SEPHORA FAVORITES Perfume Sampler is economically the best way to go. For $65 you get thirteen samples of Sephora's most popular perfumes and a scent certificate that you can redeem for a full-size bottle of your favorite featured fragrance at no extra cost. A lot of times the cost of the kit is less than the cost of a full size perfume so you not only save money, but also get a bunch of perfume samples too! They have samplers for both men's and women's fragrances and while this is great to buy for yourself it also make a great gift since the perfume is such a personal item and the person gets to pick out their own. Value sets are typically a great - for lack of a better word, value. They are often filled with products that are worth way more than the price you pay for the kit, for example this SEPHORA FAVORITES Chic it Easy Value Set costs $49, but has $143 worth of great products. They're also a great way to try different products that you might not have otherwise purchased. To see all the value sets Sephora offers check this out. Sephora has a seriously amazing return policy for a beauty store. If for any reason you don't like your purchase you can make a return, even if the product is opened and used. While it is always best to have your receipt with you if you do not and you are a Beauty Insider then your purchase can easily be brought up on the register. If you make the return within sixty days of your purchase you can get a full refund and if you make your return between sixty one and ninety days after your purchase you can get a store credit. Also if you're looking to return an online order it is completely free to return in store or to use the prepaid shipping label that you can get on Sephora's website. For more information on Sephora's return policy read this. 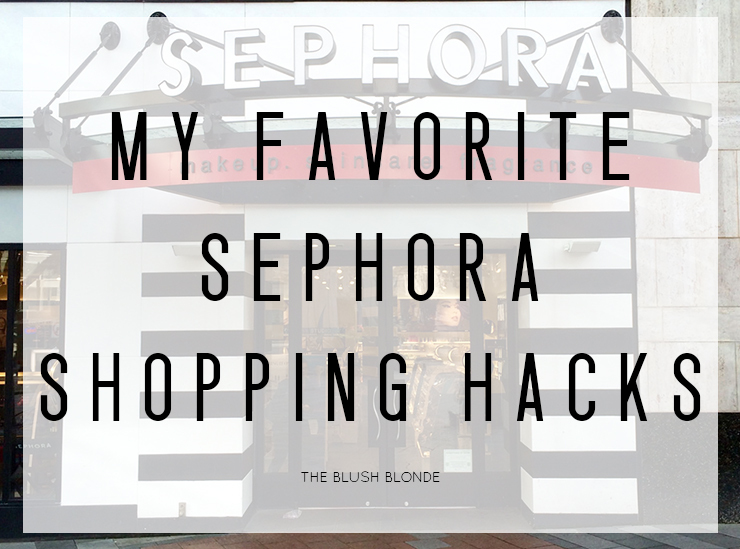 If I come up with any Sephora shopping hacks I will definitely add to this! Do you have any tricks for shopping at Sephora that I might have missed? I was at Sephora for a few hours yesterday while my friend learned how to do her makeup for an acting gig, I was such a kid in a candy store! I seriously wanted everything! What a great post! Do you have ideas for saving at Ulta?! These are such great tips! I never thought about breaking up my online order to get more samples, that makes so much sense!! Great tips! I love the free samples! So fun! Sephora is clearly the best for beauty supplies! Great tips! Such clever hacks! I'm going to have to try all of these! Sephora is my favorite makeup store. I've never thought to break up my orders but I'm going to do that for now on! We recently got a Sephora! I love shopping there! Such great tips!! I had no idea that you could get three samples of any product in the store. That is awesome to know. Love these tips! I never thought of breaking up a large order into 2 to get double the samples! I am the worst when it comes to makeup and these are amazing tips! Thanks so much! I never thought of breaking up orders. That's such a good idea! Great tips! I will be keeping these in mind the next time I order from sephora! I'm just glad I'm not the only one who breaks my orders up! As soon as I see free gift, or know i receive samples with my purchase, I'll split it up. I mean... why not, right? i'm a queen returner! i've learned that if you're just 'meh' about something when you bring it home -- bring it back and get that money back! You forgot ask for samples of products! I always ask for samples before I buy any skincare - I go home and test it out for a week or two and THEN I decide whether or not to get it! As someone who never knows what to do when she gets into Sephora this list is a true godsend! Thank you so much for the advice. I usually get so overwhelmed by the colors and brands that I end up leaving a bit discouraged to not have found anything. These tips will feel definitely help me for next time!